With so many different types of flooring materials available, it can be difficult for homeowners to choose among them. Products like tile or wood laminate are popular in a variety of applications, and each offers distinct benefits and drawbacks. When purchasing flooring, compare the features and advantages of each of these materials to find the best product for your home. Tile flooring is made from natural clay that is based to form porcelain or ceramic tiles. It can be glazed or unglazed, though glazed varieties tend to be more durable and water-resistant. Tile is available in a wide variety of styles, colors and sizes to match any decor. Laminate is designed to resemble traditional hardwood flooring. It is made from a resinous composite base topped with a layer of printed paper. This paper layer is printed with wood grain and color to mimic the look of wood, then topped with a protective seal coat. It is sold in a number of different colors and finishes to match the look of various wood species. Ceramic or porcelain tiles are installed directly to the subfloor in a home using flooring adhesive and grout. The subfloor must be completely flat and level to minimize the risk of cracks and damage once the tile is installed. Laminate is designed as a floating system. It is made from planks that fasten together using a tongue-and-groove connection. The flooring is not fastened to the subfloor, and no nails or adhesive are required. Laminate tends to be more forgiving of subfloor imperfections than tile, though the floor should still be relatively level. Laminate is considered a budget-friendly flooring option and is almost always cheaper than tile when it comes to upfront material costs. Tile is very difficult to install successfully without the help of a professional, so installation costs should also be taken into account when comparing these materials. Laminate flooring is a fairly easy DIY project that requires only simple tools and materials. Laminate flooring requires little maintenance beyond sweeping and vacuuming, though any spills or moisture must be cleaned immediately to prevent damage. Tile floors should be swept and mopped as needed, and are unlikely to suffer damage from spills or moisture exposure. Laminate may scratch or dull over time, while tile is much more durable and long-lasting. Tile floors can be expected to last much longer than laminate on average, with many tile floors lasting for decades with little need for maintenance or repairs. Because of its ability to resist moisture damage, tile is often used in kitchens, bathrooms and other areas that are frequently exposed to moisture. Laminate is generally not recommended for these rooms as water can easily damage the surface of this material. Homeowners should also avoid using laminate in basements because of the potential for moisture and humidity damage below ground level. 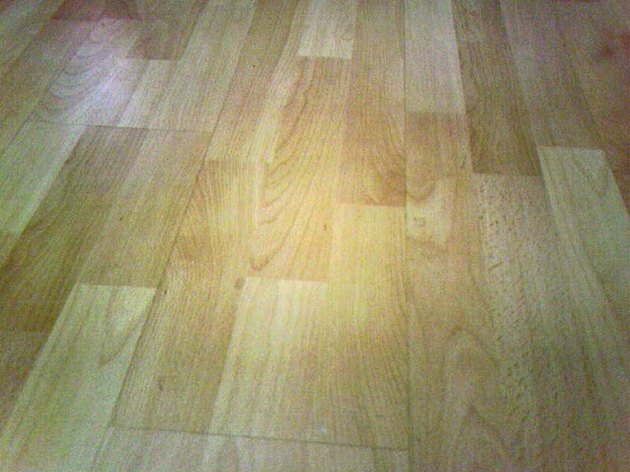 What Type of Wood Floors Are Best for Florida?